We recently received an email from Captain Larry Tyler after his 54-foot charter yacht, THE DOVE made landfall in the Azores. "THE DOVE has arrived here in Faial, Azores. The trip took 17 days from St Martin. The first 12 days we had little wind and sometimes no wind at all and the little we had was on the nose, so we were forced to sail North to nearly the same Latitude as Bermuda after which we had 5 days of gales which are still blowing now. But we flew along doing 200 miles a day!!!! "We saw a number of whales, lots of dolphins, many, many Logger Head turtles and thousands of Portuguese Man O'War jelly fish - I love watching them sail over the waves. Went swimming a couple of times mid Atlantic with the jelly fish and the turtles, I looked up from taking photos of a turtle to find The Dove was slowly sailing away and Jenny had gone down below. I can't even start to imagine what it must be like to fall overboard. "Great to have arrived though, and not have to try to sleep at 45 degrees. I'm sitting here now at the saloon table checking my emails and listening to the wind outside howling in the rigging of all the yachts that are here while the boat hardly moves. Bliss..."
THE DOVE is available for adventure charters this summer in the Azores. Azores Adventure! 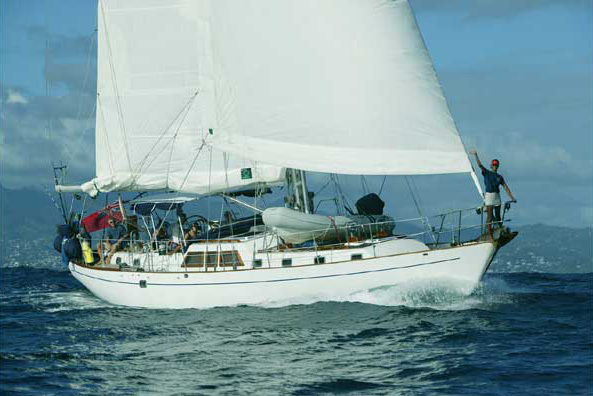 The Dove is offering eco-adventure charters this summer in the Azores for guests interested in participating in the sailing and experiencing wildlife up close. 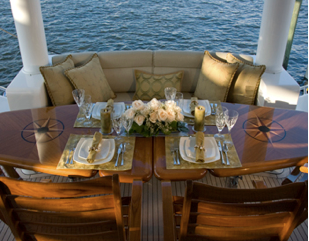 Owner / captain Laurence Tyler is offering the very attractive rates of $7,000/week for 4 guests (not each!) and $5,000/week for 2 guests. This rate is inclusive of provisions, standard bar, table wines and marina fees. The 72-foot charter yacht, Schooner BONNIE LYNN, is offering a special 5-day charter from Newport, Rhode Island to Rockland, Maine. On June 23rd, BONNIE LYNN will leave Newport and head north to her summer base in Maine. Owner-operators Earl & Bonnie MacKenzie are offering a 5-day charter from Newport, Rhode Island to Rockland, Maine. On this special 5-day charter, guests can enjoy three or four stops along the way, perhaps Provincetown, Isles of Shoals, Matinicus and/or other Maine islands. On such a trip, of course, the itinerary will be subject to local weather and wind conditions at the time. 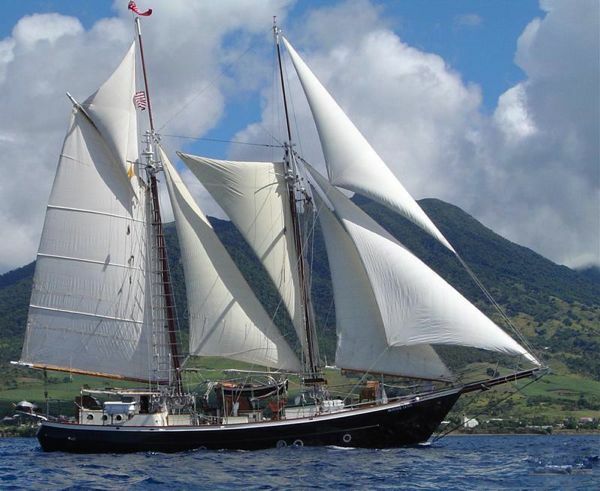 RATE: $6,200 for up to 6 guests, plus all expenses, for this 5-day sail. Bonnie and Earl would love to take adventuresome guests along on this wonderful voyage! 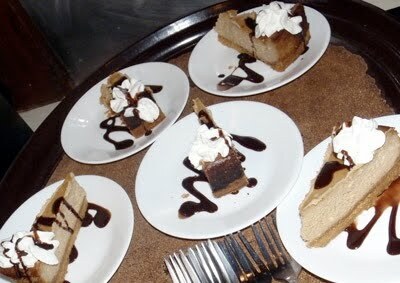 Mmmmmm, save one for me, please! I mix in a grinder/food processor one large package of McVitie's Digestive cookies until fine crumbs. Then I put it in my pan, and pour about a 1/2 cup to 3/4 cup of melted butter over it and mix it all up. That makes the crust. The originial recipe only calls for 5 oz of butter, but what can I say, I like butter! Dissolve a few teaspoons of instant coffee (I use espresso) in a few tablespoons of Kahlua and add to mixture. Pour over crust and bake at 350°F for about 40 minutes until set. Top with whipped cream and drizzled chocolate... Although you could take heavy cream, whip it some, then put in a bit of Kahlua and sugar, and you get Kahlua cream which is even better! Sounds great! Do you know that Promenade makes homemade ice cream, too? 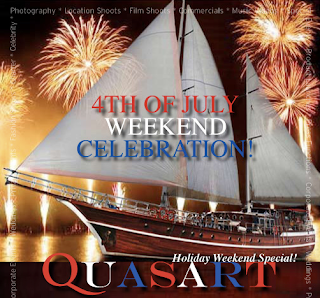 Celebrate the 4th of July with your family and friends and make a weekend out of it! Watch the fireworks from your own private sailing yacht. QUASART is a 108-foot custom built Turkish gulet, and the only one of her kind on the eastern seaboard. Plan your weekend and watch the fireworks where ever you please, whether New York, Rhode Island, Nantucket, Martha's Vineyard, Sag Harbor, Block Island, or Shelter Island. Snorkel, swim, kayak, or wakeboard behind their 40HP tender... Or just relax, take in the sun, swing in the hammocks... Just let your imagination drift! Includes: all meals aboard prepared by your own personal chef, beer, wine, and champagne for your 4th of July celebration! Additional nights can also be included at a discounted rate! We would like to welcome charter yacht GALILEO G to the fleet. 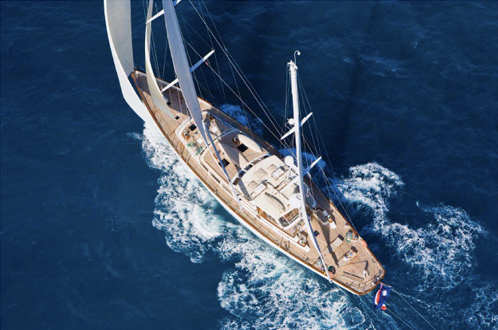 GALILEO G is a 38 m (123 foot) luxury ketch motor sailor designed for world cruising by Sparkman & Stephens with the classic interior design talent of John Munford, built at Palmer Johnson Yachts in 1989 and maintained in mint condition. 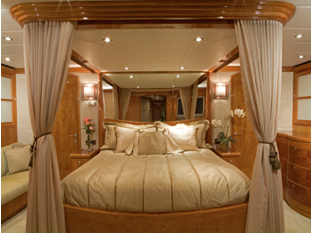 GALILEO G can accommodate 6 guests in 3 cabins. Drum roll, please! 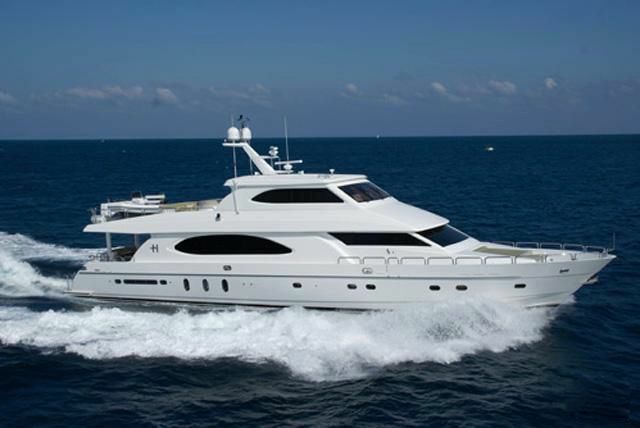 We would like to announce that the Motoryacht TIGER'S EYE is available for yacht charters in Florida and the Bahamas, all year round. 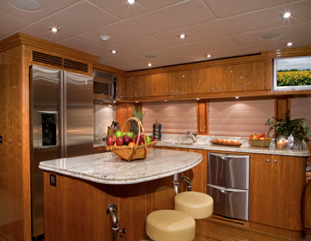 M/Y Tiger's Eye is a 98-foot Hargrave (2008) and offers accommodation for up to 9 guests in 4 staterooms: Master King, VIP Queen and two Twins (one with Pullman). Her light, understated interior creates a relaxing and comfortable atmosphere. The Motoryacht GOLDEN RULE has just completed a major mechanical and structural refit, including restoration of teak decks, and is ready to entertain you in the Bahamas on your yacht charter this summer! 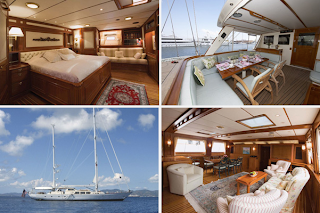 M/Y GOLDEN RULE is a 130-foot Feadship and accommodates up to 10 guests in 5 cabins. Captain Joe Jarrett and his "Golden" crew of 6 is ready to Shine! 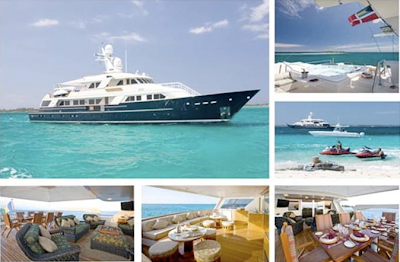 Be cool this summer and chill out aboard GOLDEN RULE in the Bahamas. Look over their online brochure and then contact Paradise Connections to book your yacht charter! Inquire for current summer availabiliy..